A man exposed himself to a female dog walker in a Northamptonshire park. 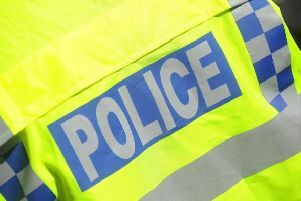 The woman was walking in Hunsbury Hill Country Park in Northampton at about 11.30am on Monday, September 14 when the incident happened. The man approached the woman from behind then exposed himself before walking off. He was white but had an olive complexion and the women said he may have been either eastern European or Turkish. He was about 5ft 9in, of medium build and had dark hair that was almost black. He had no distinguishing marks or tattoos, was clean shaven and was wearing bright blue, baggy baseball shorts and possibly a grey hoodie.